Nothing can be more frustrating and unpleasant than your homes climate control systems breaking down right in the middle of extreme weather—when you need them the most. Should your heating or cooling systems ever run into trouble, call us here at Alaskan Heating and Air Conditioning for immediate cooling and heating repair services in Las Vegas. We understand the value of a comfortable home and we appreciate the opportunity to add value to our customers. Here at Alaskan our technician are skilled at servicing all brands of Air Conditioners and heating systems. 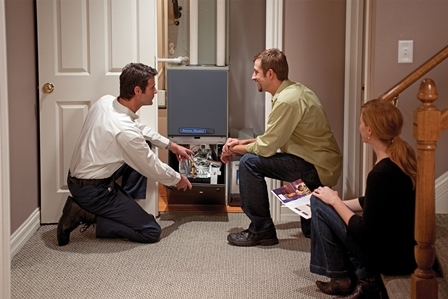 After our technicians quickly diagnose your system they will provide you will all of the options available for you to best move forward for your family’s needs. Our number one outcome is to keep your system running properly throughout those hot summer days and cold winter evenings. With a company like Alaskan at your side you can rest assured that you have the support you need when you need it. Our 24/7 emergency services will have your family comfortable as soon as possible. Alaskan Heating and Air Conditioning is a full service HVAC contractor, which means in addition to the usual heating and air conditioning repair services, we offer regular preventative maintenance services to keep your systems in check and preempt any minor flaws from becoming bigger issues. If replacing your heating and cooling system is more economical than having it repaired, allow us to provide you with the best options for you and your family. Regardless of your home comfort needs, you can always count on Alaskan Heating & Air Conditioning to do our best, do what is right and show you that we care! Are you wondering how your energy bill could be so high? The solution may be as simple as tuning up your and cooling systems. It is estimated that as much as 70% of your homes energy bill is applied toward your Heating & Air Conditioning needs. If you suspect something is wrong with your system, you can count on Alaskan Heating and Air Conditioning for thorough heating and AC repair services. We will identify your problem and restore your system’s efficiency, potentially significantly lowering your energy costs. You can get the most out of our services when you sign up for our Alaskan Service Membership program. Some of the benefits include free check-ups for heating and/or cooling systems, tune ups for air conditioning units during spring, tune ups for heating systems during fall, no charges for travel time or overtime services, discounts on replacement parts and new units, and much more. For more information on our membership program, feel free to call us today and inquire about our membership program.